Here is the basic refresher on Pavlov for those that have forgotten. Pavlov was a famous psychologist that proved with repetition a response could be conditioned. He was investigating the salivary glands on dogs. He noticed the dogs salivated shortly before eating. So every time he fed the dogs he would ring a bell. After a certain amount of times the dogs expected food every time the bell would ring. This would cause them to start drooling. They would salivate whether food was present or not. He called this conditioned response the “Pavlovian Response”. To think, he didn’t want to prove conditioning, he just wanted dog drool. Speaking of drooling, in 2000 the game Tony Hawk Pro Skater 2 came out. Twelve years later it’s hard to see how big this game truly was. It was Guitar Hero at its prime big. 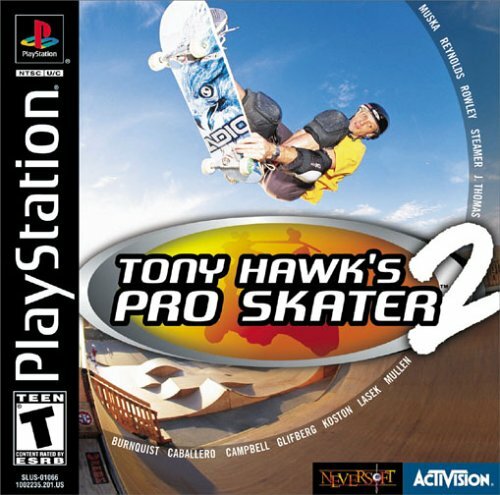 Most fans, including myself, feel that THPS2 was the height of the series and it was all downhill (pun intended) from there. Jason and I spent hours upon hours at this game. If we screwed up the opening move, start – reset. The start – reset maneuver drove Xie nuts. She thought we should just play the game. We couldn’t get the score or medal we needed if we didn’t start and reset the game. We abused the Bullring level the most with the constantly restarting. “When Worlds Collide” was included on the game soundtrack. Sometimes we would just constantly reset the level until we got this song. It was such a pump up song for us that we actually did better with it. Eventually we just started listening to CD’s (remember those kids?). We played Slipknot or Limp Bizkit. Though I’m not sure how often any single track compares to “When Worlds Collide” in actual times I have listened to it. This takes us back to this morning and driving into work. “When Worlds Collide” came up on my iPhone. As I’m listening to it. I can literally just see playing the game. I can see the tricks and the levels. It transports me to a different time. Other times when I have listened to the song I’ve actually moved my thumbs like I was playing. This is Pavlovian conditioning at it’s finest. I also don’t regret a moment of it. I’ve been playing also on my iPad lately. The lack of tactile feedback that the touchscreen has is just not the same. I’m not doing badly working all the characters through it, but my play-style is much different from it was with a controller. The iOS version has a different soundtrack. I usually play it with the game muted. I guess that’s a good thing, I don’t need to be conditioned for anymore songs.